We are very excited about this new direction for Photo Wall Display options.. This specific set design is directly inspired by one of our favorite photographer resources Design Aglow. 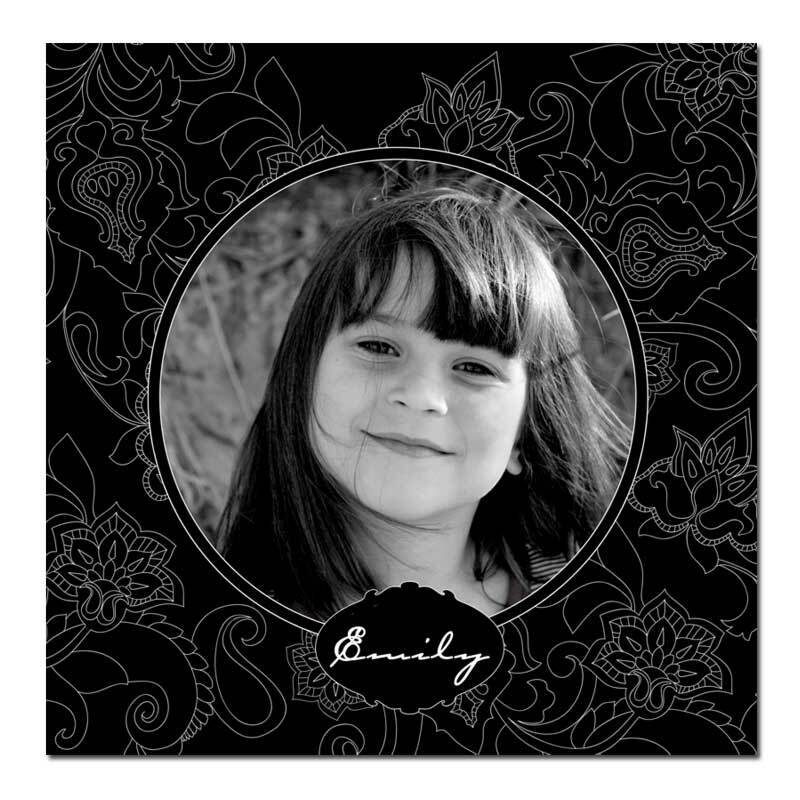 Ask your portrait photographer if they carry the Design Aglow selection of templates and products to create this style of art from your professional images. We also have several mounting options available that will allow you have your new photo art arrive to your home completely ready to hang! That's right, no more framing and stressing! We will be updating our mounting options soon with better imagery and descriptions to help you shop easier. As with all of our products, special requests are always welcome! For our first full collection, we decided to go with an ever popular B&W theme. 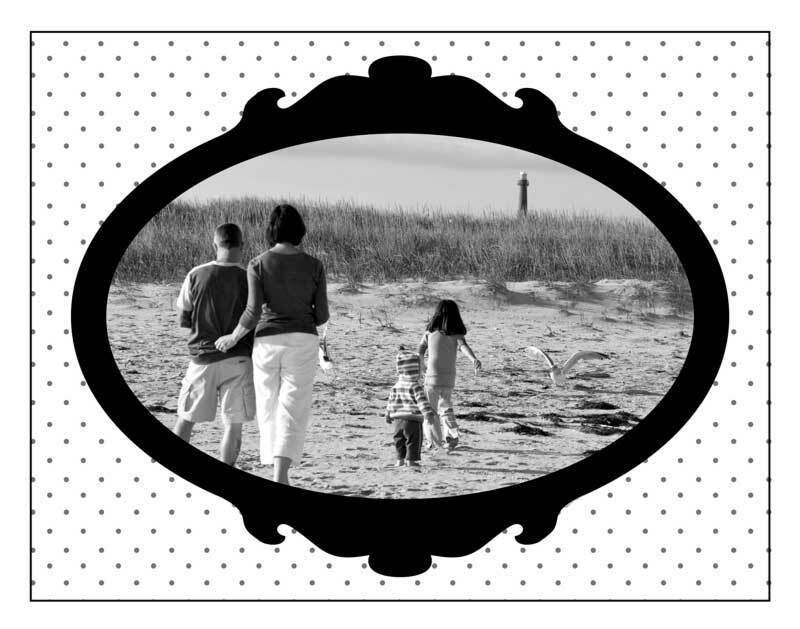 But the designs can be changed to other colors or feel free to have your images incorporated in color on our B&W backgrounds, the choice is yours! And now, we would like to introduce the Ornate Designer Wall Collection! 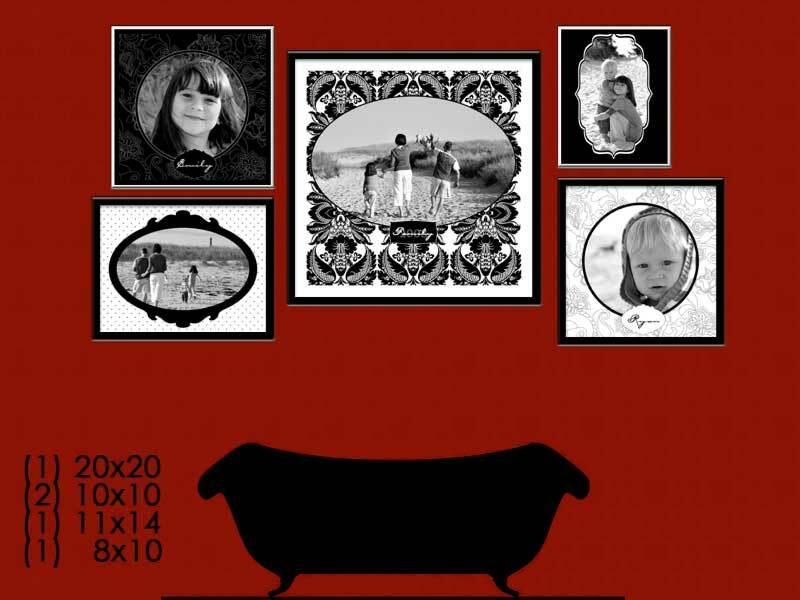 A classically designed wall grouping that features black and white accents, frames and designs to enhance your images to perfection! Purchase the full Ornate Wall Collection as shown below which include the following prints (1) 20x20, (2) 10x10, (1) 11x14 and (1) 8x10. This display will look stunning against any other color wall and fits beautifully above a couch! Don't want the whole display, then go ahead and choose just one print from our Designer Photo Wall Art selection. We would love to hear what you think about our first collection? Do you love it/hate it? Is it a dumb ideas or a great one? Do you have ideas for future design ideas that we can offer? And hey, if you like this a lot how about DIgging it or Stumbling it to let the world know. You never know what kind of special thank you you may get....hint hint!! !